Go and meet the Cape Town marine ‘big five’: whales, great white sharks, dolphins, seals and penguins! An on-board marine biologist shares his knowledge of those fantastic animals. Meet Cape Town’s marine ‘big five’: whales, great white sharks, dolphins, seals and penguins! This is an incredible opportunity for families and nature lovers to get up-close and personal with some of the most majestic creatures in the world. Aboard the custom designed Dream Catcher, guests will spot Cape Town’s marine ‘big five’, including whales, great white sharks, dolphins, seals and penguins. 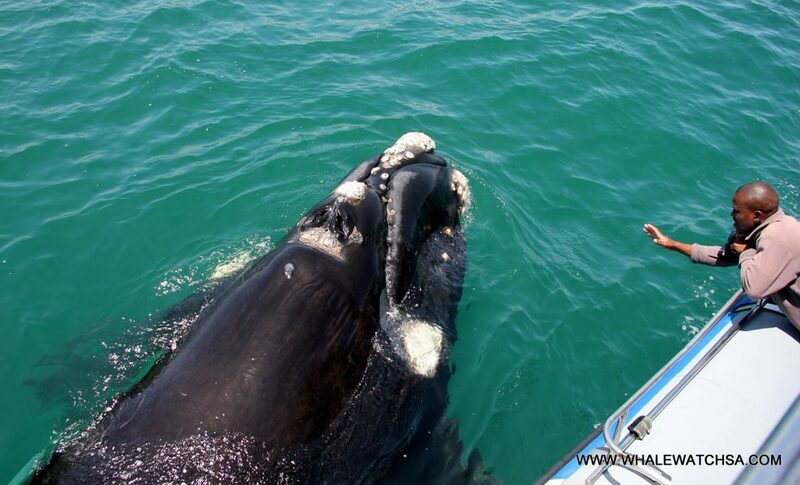 Between July and December, the waters of Kleinbaai serve as the breeding ground for the southern right whales, and are often witnessed jumping and spraying. But they aren’t the only species to frequent these waters. Brydes whales, humpback whales, orcas and various species of dolphin can be seen all year long. An on-board marine biologist accompanies each tour, sharing information on the animals and the local marine ecosystem. Dyer Island was named after Polynesian seaman, Samson Dyer, who used the island for seal harvesting in the early 18th century. Since his arrival on the island, there were a number of events that affected both the seabird population and the ecosystem in general. In the mid-19th century people scraped guano, the excrement of seabirds, from the island to be used as fertiliser. This had a negative effect on the African penguins who used the guano for nesting purposes, resulting in penguins building nests out in the open, which made them more susceptible to predators. Later in the 19th century, penguin eggs became a popular delicacy and were collected from the island. Today, the island is well conserved and managed by CapeNature. Warm clothes are a must on this two-hour sea adventure. Bring jackets, beanies and scarves, and you will be provided with a waterproof/windproof jacket on the boat. If you visit between July and December, you stand a good chance to witness the migration of the southern right whales as they jump and spray close to the boat. Summertime brings opportunities to Bryde’s whales and dolphins and have cool seabird encounters. The tour is a great opportunity for wildlife photographers to get close-up shots of all of these animals. Southern right whales are the rarest of all the large whales. One of the reasons for this is that the female whales do not become sexually mature until the age of 10. When they do eventually reproduce, it is to a single calf after a yearlong pregnancy. The northern right whale is the most endangered of the right whales, and there are estimated to be only several hundred of them left in the world. This entry was posted in and tagged Gansbaai.